Specfically, I have a header with black type on a dark gray background which is unreadable. In designer when I attempt to change the header with the header styles after clicking on the header it does not respond, i.e., nothing changes. 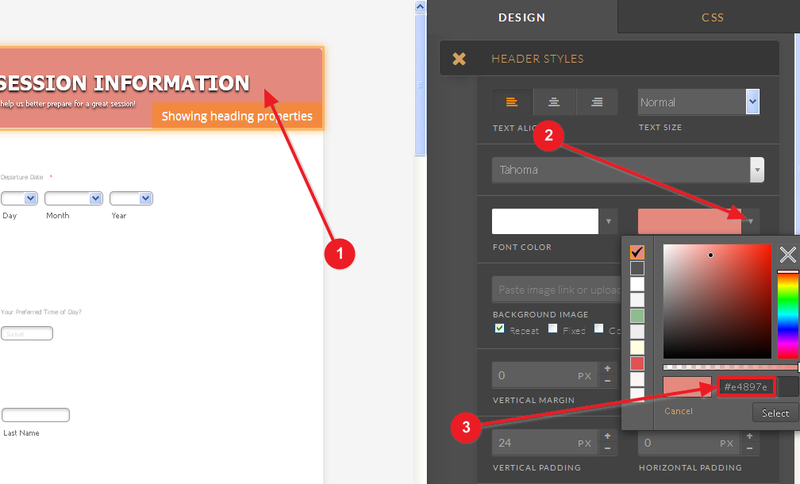 The style of the header is set by the theme that your form is using. The styles in the theme are written in a way that they take precedence over other styles, so in order to override it, we need to use custom CSS (adding codes under the CSS tab of the Designer). Please let us know how it goes, or if you hit any snags along the way, and we will be happy to help.